The card below belongs to John Elberfeld. Notes: The edges are perforated. 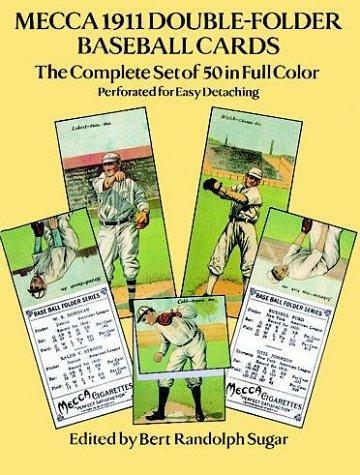 Mecca 1911 Double-Folder Baseball Cards: The Complete Set of 50 in Full Color Paperback by Bert Randolph Sugar (Editor) Inexpensive facsimiles of rare valuable set of cleverly folded cards that allowed two players to be depicted on each. Originals worth thousands of dollars. 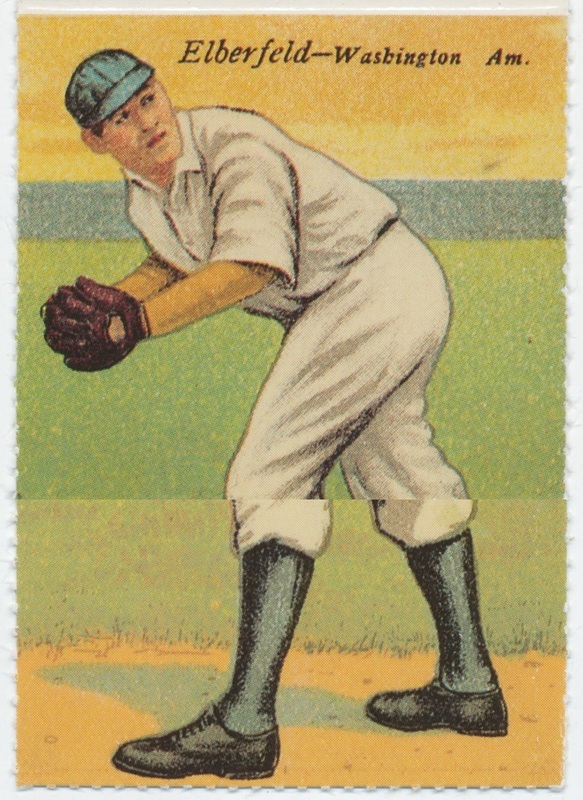 100 players include such immortals as Ty Cobb, Frank "Home Run" Baker, Christy Mathewson, Eddie Collins, Miller Huggins, Walter Johnson, many more. Introduction. 100 color illus. Stats on cards. Index of Players.